Los Angeles-based duo INTRCPTR – formed by guitarist Ben Carr of 5ive and drummer Larry Herweg of Pelican – has delivered their second title, with the digital release of II. The release of INTRCPTR’s II, alongside its predecessor, marks the maiden release for a newly-launched imprint of Dark Operative. The imprint, dubbed Pax Aeternum, is founded to focus on smaller and newer artists, reissues, collections, and more. 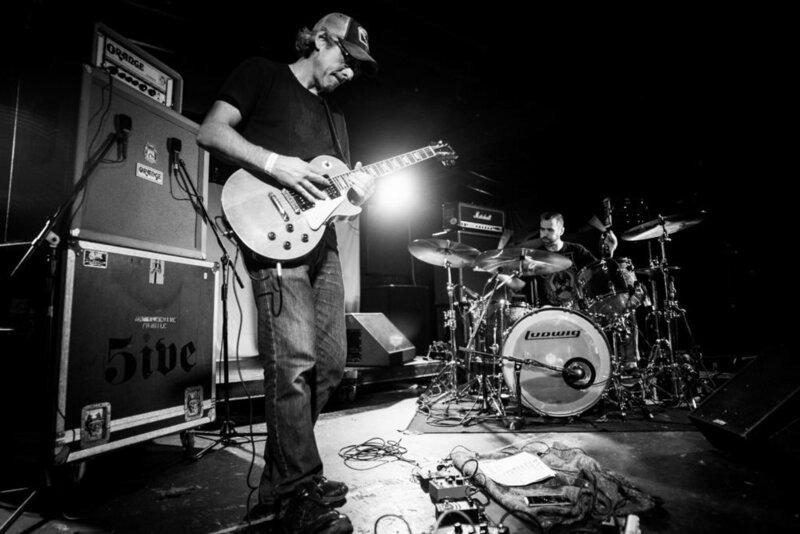 INTRCPTR is the impossibly brilliant pairing of guitarist Ben Carr and drummer Larry Herweg. Longtime veterans of ungodly catchy riffs within the framework of all things heavy, the duo does not disappoint in the slightest when it comes to one’s preconceptions of what becomes possible when collaborative inspiration between mutually-respected friends persists and persists. With two driving new tracks, INTRCPTR packs a succinct but solid blow with II, delivering the new songs “Dusted” and “D.I.W.I.W.Y.L.” As with their debut, the band recorded with Gabe Van who engineered and mixed the record at Akira Audio, after which it was mastered by Slowdive’s Simon Scott at SPSMastering and completed with photography by Andrew Weiss. INTRCPTR’s thundering II is out now on all digital providers including Spotify HERE and Bandcamp HERE. Watch for new INTRCPTR live gigs and more to be announced in the weeks ahead.